Almost a month ago, we passed along a leaked image of a rumored new BlackBerry that will supposedly be manufactured by Optiemus, a company in India that licenses the BlackBerry name and its version of Android. The phone was said to be called the BlackBerry Ghost, and appeared to feature an edge-to-edge screen with a near bezel-less design. The device would most likely have limited distribution in India, and the smart money says that it wouldn't be offered in the U.S.
Today, a render of a new handset was disseminated via tweet from tipster extraordinaire Evan Blass. The prolific tipster says that this is the BlackBerry Ghost Pro from Optiemus. It appears that this device will also sport razor thin bezels, and an 18:9 aspect ratio. Without any buttons in front, the fingerprint scanner is either in back, or embedded under the display. To be honest, the two renders (Ghost and Ghost Pro) look quite similar, and the placement of the antenna lines on the two phones line up. This could indicate that the Ghost Pro is a premium version of the Ghost series, with a bump up in specs. There are two other BlackBerry licensees, TCL and BB Merah Putih. TCL is expected to release two new BlackBerry models this year, which could include a sequel to the BlackBerry KEYone. I would suspect that TCL will release a version of the Ghost, but instead using a slide-out keyboard ala Blackberry Priv. I am predicting a follow-up device to the Priv and a follow-up to the KeyOne this year. I like Optiemus' design here, even though it's just renders we're looking at. Too bad Optiemus can't bring these things to North America. They could teach TCL a thing or two about design IMO. True that. I wasn't too impressed with the Motion so I'm holding off to see what the 2018 version of the Nokia 6 is like. If the DTEK60 so much as got an update to Nougat it would be great. TCL knocked it out of the park design wise with that TCL950 model especially the Idol 4S Windows version. I completely agree with everything you just said! The Motion does not inspire me, and I too liked the Dtek 50/60 design. Their new Alcatels aren't inspiring me either. And as far as Nokia is concerned, I'm also liking what I see with the Nokia 7 and now 7 plus. Just understand that they aren't competing in the upper stratosphere against Samsung, so obviously the camera is not going to be as good as the high end phones. Wow Captain Obvious. I don't know of any mid-ranger that excels in the camera dept. But in case you didn't know, and you probably don't, the KEYone has the same camera as the Pixel series and was rated very highly. Perhaps you need me to refresh your memory. "Crispin_Gatieza posted on 27 Feb 2018, 12:08 BlackBerrys of late have battery life, security and updates going for them. It's more than acceptable at the mid-range tier but to compete in the upper stratosphere BB will have to shore up its camera game. The KEYone was a welcome surprise but good cameras shouldn't be a footnote." https://www.phonearena.com/news/blackberry-ghost-render-leaks_id102820 I don't recall anyone anywhere comparing the KeyONE's camera to the Pixel, which actually was highly rated. That statement was a generalization and the last sentence bears out that the KEYone had a surprisingly good camera. I stand by my statements. As for the camera being the same as the Pixel, here you go: https://www.androidheadlines.com/2017/05/phone-comparisons-google-pixel-vs-blackberry-keyone.html So you don't pull a muscle reading the entire article here's the quote you'll be interested in: "The BlackBerry KEYone uses the same 12MP primary camera found on the Google Pixel models. It has an f/2.0 aperture, Phase Detection Autofocus (PDAF), and a dual-tone LCD flash that will make most users very happy with their pictures. The FFC is a large 8MP sensor with a smaller f/2.2 aperture for selfies and video chatting." Silly rabbit, Trix are made for kids. That's the coolest f**king name for a phone I've ever seen lol. Not too bad on the eyes either. for the first time i really want to own the GHOSt. Ah! Blackberry Ghost, eh? As in 'Rolls Royce Ghost'? Well, I suspect that its just a prototype stage name and it will get a weird, super geeky and/or a cheesy name when it hit the shelves, such as 'Priv The Perv'! Remember how Blackberry changed 'Mercury' (Also happens to be a name associated with automobiles) into "KEYone" which, lets be honest, is quite weird? Anyhow, expect to see Oreo, lots of RAM (Around 6GB, I'd say) and a top-tier Snapdragon 845 in The Pro Variant. Whereas the 'un-pro' version might receive a Snapdragon 660 with 4 Gigs of RAM. The design looks average, but I'm just glad there's no notch in sight! A lot of phones will have a notch this year, just watch! G'Day! Mercury is a defunct brand since '09, I don't think they want to associate with that one. Here's a GreenMan quote from last week. "So... I hereby take a vow that I shall never post anything on Blackberry articles, effective immediately" I knew you would renege... :) G'Day! He forgot to pass the Duchie. My God. This render look GORGEOUS! Is too bad it is for Indian market only. Perhaps TCL bring a version of this Ghost Pro to other market outside of Indian and Indonesian market. I love the name. Ghost Pro. Wow! I doubt there will be another BB after aurora in Indonesia. I am not concerned with your opinion. LOL.... The high end user in Indonesia only want samsung. The low end want oppo/vivo/xiaomi BB era already passed. Did you not listen to the man? We don't care what you have to say. I'd rather listen to a chainsaw. He need to comment to me or say my name to feel relevant. I am still not concerned with your opinion. 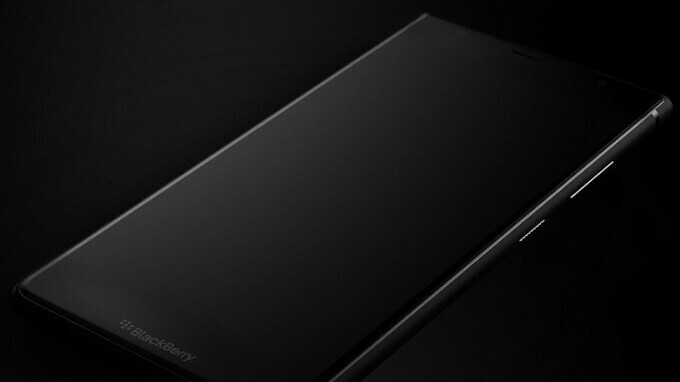 BlackBerry doesn't design or manufacture phones anymore. Neither does Nokia. TCL, among others, licensed the BlackBerry brand and HMD Global did the same with Nokia. I still do not comprehend why people do not understand this.